Posted October 17th, 2013 by krnaveen. This module adds Clicky Analytics tracking code to your Pligg site, just before the </body> tag in your Pligg CMS template file. 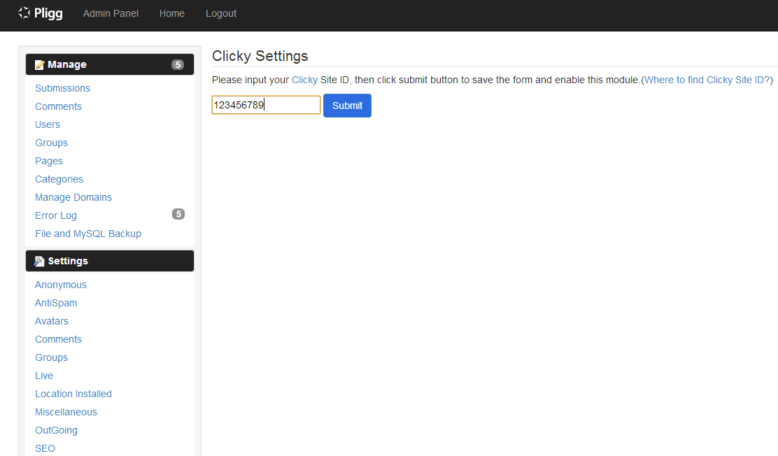 Adding this module to your Pligg site is a simple three step process: upload the module, install it, and visit the settings page to enter your Clicky Site ID. Once enabled, you will see the Clicky Analytics appear in your website’s source code.